The largest city in northern Thailand, Chiang Mai is one of the most culturally significant cities in the country. While the city has become quite modern over the years, the sense of tradition and heritage has never really left its streets. Chiang Mai continues to be an integral part of the Thai cultural circle, contributing to the country’s image on the world stage. With over 5 million visitors coming to the city every year, Chiang Mai is amongst the most popular tourist destinations in Thailand. Based on slightly elevated land, the weather in Chiang Mai is warm with wet and dry spells throughout the year. The average highs rarely go beyond 280 to 350C while the lows drop down to 130C in winters and are at around 240C in peak summers. There is rainfall almost throughout the year, ensuring that Chiang Mai is constantly surrounded by green hills and fantastic forests. Winters are drier, with just a day or two of rain, while its perpetually raining all through the summer months. There are over 300 Buddhist temples in Chiang Mai city, each of them with a special significance in the life of the people. Wat Prathat Doi Suthep is the most popular temple of them all, standing atop a fantastic a hill in the north-west of Chiang Mai. There are many other famous temples and each of them is host to numerous festivals, lighting up the city streets at the time. 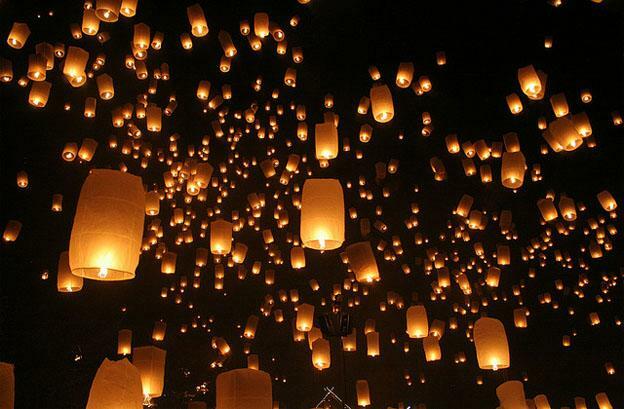 Loi Kratong (Lantern) is one of the most important and beautiful festivals held annually during the 12th month of the Thai Lunar Calendar. People launch thousands of banana leaf-containers, decorated with flowers and candles, into the waters of the city. This is followed by small sky-lanterns, hot air balloons made of paper, which are launched into the skies to rid the people of problems. The Thai New Year or Songkran is also a popular festival that is held in mid-April. There are plenty of entertaining activities around the city, with the whole population participating in their own special way. 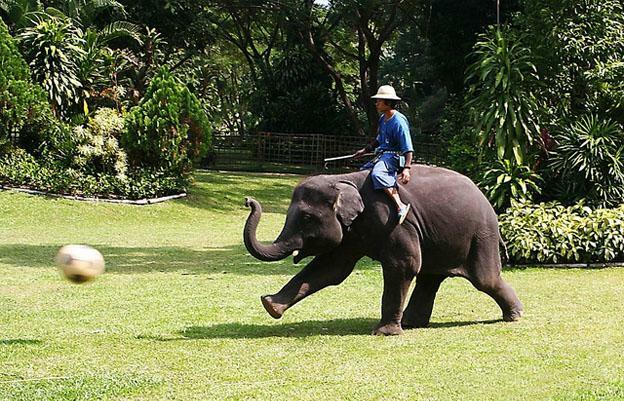 Chiang Mai city is also surrounded by many nature parks that offer a different kind of atmosphere to the celebratory atmosphere in the main city. Thailand is quite popular for its explosive nightlife and the Puripunn Baby Grand Boutique Hotel is right in the heart of this exciting area. 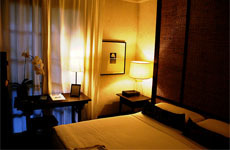 Just 20 miles from the international airport, the hotel is placed in the heart of the tourist hotspots. There are restaurants, bars, clubs and pubs all around the hotel but that isn’t all that there is on offer. The hotel is also close to the cultural side of Chiang Mai city, with the Phuping Palace and Wat Chedi Luang within walking distance. The view from the Puripunn Baby Grand Boutique Hotel is just magnificent – with the mountains or the beautiful swimming pool being visible from the balconies and terraces. The hotel has a full-service fitness centre with a Jacuzzi and numerous restaurants to serve its guests at almost all hours. 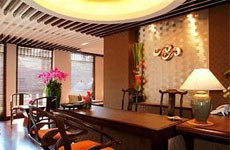 The hotel also offers comprehensive business and meeting facilities to its guests. Situated on the eastern bank of the Mae Ping River, the Rarinjinda Wellness Spa Resort not only has a fabulous location, but also has fantastic amenities. 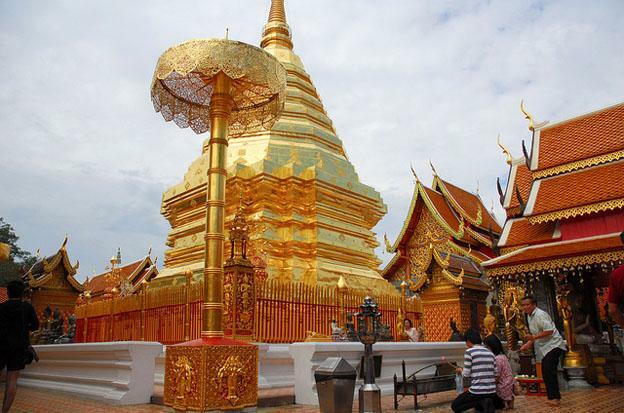 Visitors have access to some of the biggest temples in Chiang Mai, giving them undiluted exposure to the festivities at these magnificent structures. The mountain range surrounds the Rarinjinda Wellness Spa Resort and that gives guests an unmatchable view of the surrounding area. The 38 rooms at the Rarinjinda Wellness Spa Resort are beautifully and tastefully furnished to accommodate the in-room massage & spa services. There are plenty of different styles of treatments that guests can undergo, from the most technically advanced treatments to ancient magical procedures. The resort also offers an in-house restaurant as well as swimming pool for guests. The Holiday Inn, at Chiang Mai city, is a well-located hotel offering easy access to the city centre. The hotel is right next to the location of the Night Bazaar and is just a short ride from the old town. There are more than 300 temples in the city, each within close proximity of the Holiday Inn. All public transports, including the international airport, are within minutes of the Holiday Inn. 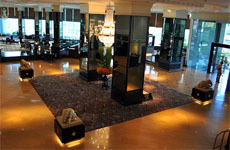 The hotel, in its premises, has fantastic dining options as well as an extremely luxurious décor. The conference room and business facilities match the most incredible hotels around the world and can accommodate up to 2,000 guests at a time. The pool and fitness centre complete the fantastic Holiday Inn hotel.